Safe Sugar Substitutes for People With Diabetes. At present, there are many artificial sweeteners available and their use is regarded as safe for diabetics who need to have good control over their blood glucose levels. If you are a diabetic, who needs to watch out for your blood glucose levels and weight, sugar substitutes, also called artificial sweeteners, can be used to allow you to enjoy sweetness in your food without having to worry about the harmful effects of consumed sugar. Since artificial sweeteners are usually calorie-free as they give a concentrated amount of sweetness and are not easily absorbed by the body, they can be used to sweeten any food or drink without having to worry that they can affect the levels of blood glucose. 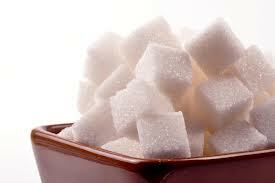 Therefore, artificial sweeteners are useful in any diabetes management plan. Acesulfame potassium, neotame, aspartame, stevia, saccharin, and sucralose are six sugar substitutes approved by the U.S. Food and Drug Administration (FDA). Sucralose, aspartame, and saccharin are widely used while, stevia, the latest on the market, is becoming popular fast. Let us go through the more popular sweeteners and get to know them better. It is the first artificial sweetener available, introduced in 1879 and was sold at that time with Sweet’N Low as its brand name. It has between 200 and 700 times the sweetness of sugar. Many diet foods and diet colas use saccharin as a sweetener. For the sweetening of individual diabetic meals, saccharin is available in packets while bulk purchases for cooking can also be made. Safety: A warning was put on the packaging of saccharin after a study in 1970 found that the growth of bladder tumor in rats was linked to saccharin. However, it is now established by the FDA and the National Cancer Institute that there is no connection between saccharin and human bladder cancer. Therefore, it can be considered to be a sugar substitute which is safe for type 1 as well as type 2 diabetes to use in their foods. Nevertheless, experts still believe that women who are pregnant should avoid saccharin. Using brand names such as Equal and NutraSweet, aspartame has between 180 and 200 times the sweetness of sugar. It is available in bulk and packet. However, due to the fact that heat can lessen its sweetness, it is less often used in cooking. Safety: There have been a number of non-factual reports linking aspartame to cancer, depression and headaches but studies have never found health problems posed by this sweetener. The safe use of aspartame has the backing of the FDA, American Diabetes Association and the American Medical Association. It has been found to be safely used by all the three kinds of diabetes. Nevertheless, aspartame ought to be avoided by people with phenylketonuria (PKU) which is a medical disorder. Sucralose has 600 times the sweetness of sugar and is available with the brand name of Splenda. Due to the fact that it can substitute sugar directly in baking recipes, it has become useful. Safety: There are not many studies made on the safety of sucralose as it is comparatively new. However, it is accepted for use for any of the three kinds of diabetes by the FDA and the American Diabetes Association. This sweetener, available under the brand names of Sunett and Sweet One, has 200 times the sweetness of sugar, is used in the manufacture of lots of packaged foods, and is used in baking. Safety: Acesulfame has been confirmed safe by almost a hundred studies. This sweetener, which has 8,000 times the sweetness of sugar, originates from aspartame. In the U.S. it is still not widely used since it is a newly approved artificial sweetener. Safety: Although it has its origin in aspartame, it is for people with phenylketonuria due to a chemical change. This natural sweetener from the stevia plant, which has 250 to 300 times the sweetness of sugar, is available as Stevia in the Raw, SweetLeaf, PureVia and Truvia. Safety: Until 2008, stevia was banned by the FDA as it was linked to problems of reproduction among lab animals. At present, rebaudioside A, which is purified from the stevia leaf, has been approved by the FDA for use in the manufacturing of American foods. It is also said that rebaudioside A leaves hardly any aftertaste. Sugar alcohols are allowed to be used as sweeteners for “no-sugar added” or sugar-free foods. Although The FDA has approved it as a food product sweetener for diabetics, it advises that there should only be moderate consumption of sugar alcohols. Compared with sugar, sugar alcohols have fewer calories and not so much effect on levels of blood glucose. Natural sweeteners, like honey and agave nectar, have just as many calories as sugar. However, they are considered safe if diabetics take them in moderation. Using flavored seltzer water instead of diet sodas. Using sweet substitutes from nature, like blueberries rather than brown sugar with your oatmeal at breakfast. Reading the labels on food products to avoid eating sugar substitutes or choose the products with the lowest sugar content. You ought to know about every sweetener so that you can choose those most suitable for your lifestyle and taste, if you are consuming diabetic meals.